Grainne works from a Humanistic and Integrative approach, which values the uniqueness of each client and sees the potential for individuals to realize their true nature and achieve meaning and purpose in their lives. The therapeutic approach Grainne uses is collaborative, developing a trusting relationship with clients in order to explore their feelings and difficulties. Her many years of critical-care nursing have provided her with the experience to do this in a non-judgemental, supportive and confidential environment. Her integrative approach utilizes aspects of many psychotherapeutic approaches in accordance with the individual client’s needs. Grainne works with adults and adolescents across a wide range of issues including depression, suicidal thoughts, anxiety, stress, low self-esteem, relationship issues, family breakdown, bereavement or trauma. 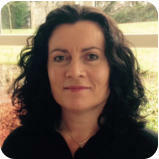 Grainne is currently completing an MSc in Adolescent Psychotherapy, developing a deeper level of competency in working with adolescents who are experiencing psychological and developmental difficulties. This approach supports adolescent development on an individual basis through exploring with the adolescents or young adults the issues they may find challenging and also by working collaboratively with parents.